You can register as a Personal Care Assistant on PA Pool, for free, and start looking for work as soon as your profile has been approved. For any Personal Care Assistants (PAs/Carers) who are having trouble registering and using PA Pool, please follow the steps below. 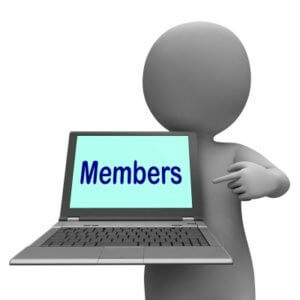 Additionally, please like our Facebook page to get our latest news, and tips on how best to make the most of your membership. Click the link in the email to activate your PA Pool account. This is the first page that comes up when you’ve registered and will be the page that comes up first every time you log in to PA Pool (using the username or email address and password you created when you registered). This page summarises your saved searches, shortlisted PA Users and email inbox, together with how many times your profile has been viewed by other members. Here you can change the status of your profile to let potential employers (PA Users) know when you are looking for work and when you are not. “I’m Looking” you are looking for work, “I’m Sorted” means you are no longer looking for work. To change your profile status simply click the “Change Status” button. To hide your profile from other members, click the “Hide Profile” button. Please note, if your profile has not been approved you will be unable to send and receive email. Click on the “My Profile’ pull down menu at the top of your “My PA Pool” page and select “Edit Profile”, then simply fill in all the relevant information on all of pages, SAVE the changes at the end of each section and click the “SUBMIT MY PROFILE” button on the last page. You can also use this menu to edit or change your profile at any time. Please always re-submit after changing by clicking the “SUBMIT MY PROFILE” button again. On section 1 of your profile, (“My Basics” section), to add a photo, under Display Image, click “Choose File”. A pop up menu will then appear, and you need to click “choose file”, locate your photo file on your computer and click “SAVE”. When logged, you will find the search in the “Find me a…” green box on the left. You can create and manage your tailored search criteria by completing the form and then saving as necessary. Saved searches will appear under the “My Searches” tab on your “My PA Pool page”. You can add more options to a search by clicking “more options”. Then you can tailor your choices further. This way of searching allows you to select a variety of criteria and you can then save the search for use time and again at the click of a button. When your search results are displayed you can click “Profile Summary” to see basic information about a member. From there you can view their full profile, add them to your shortlist or send them an email message. In the search results gallery or when you view any profile you will see a button with an envelope icon. If you then click on this, it will take you to your email page and a new message window appears with their address already inputted so you can type them a message to say you’re interested! You can see the emails you’ve received by either clicking on the sender’s name in “My Emails” on your “My PA Pool” page or by going to the menu at the top of your “My PA Pool” page and clicking on “My Email”. You can then reply to these messages or delete them if you so choose. You can also reply to emails using the “Quick Reply”. Just click on that and then all you have to do is fill in a few boxes and click send. Either click on the “Need a job NOW” box on the left, or go to the top menu and click on “My Subscriptions” then click “Update Payment”. PA Pool transactions are processed by Stripe. You don’t need a Stripe account – you can make a one-off payment using any of the major credit or debit cards. Complete your card payment details and click the “Save Details’ button. These will then be stored on Stripe’s secure servers. Click the button “Subscribe Now” and then choose the period you’d like to appear on the “Emergency PA” page. Once you have confirmed payment you will receive a receipt via email from Stripe. If you should experince any problems or issues, or have any queries over your membership after reading the above, please email admin@papool.co.uk quoting your userid.